The sponsorship, a first of its kind for Kioti, is another example of the company’s expanding commitment and investment in Canada. Kioti Tractor is teaming up with 2014 Olympic Gold Medalists Team Brad Jacobs — a Canadian men's curling team — on a multi-year partnership. Kioti is now a proud tier 1 sponsor for the distinguished and highly accoladed team. The sponsorship, a first of its kind for Kioti, is another example of the company's expanding commitment and investment in Canada. In December, Kioti announced a 60,000-sq.-ft distribution center outside of Toronto, supporting the growth of Kioti dealer network and contributing to the positive economic impact in the greater Toronto metro area. "It's an exciting time in the history of Kioti tractor and we are thrilled to partner with Team Jacobs," said Greg Bibee, marketing and business development manager. "Team Jacobs' vision and commitment to excellence in their sport mirrors Kioti's vision and commitment to the compact equipment industry. We knew right away the partnership was a perfect match." The agreement comes on the forefront of the Pinty's Grand Slam of Curling 2019 Player's Championship. Since winning their first title in 2015, Team Jacobs has captured four Pinty's Grand Slam of Curling men's titles. 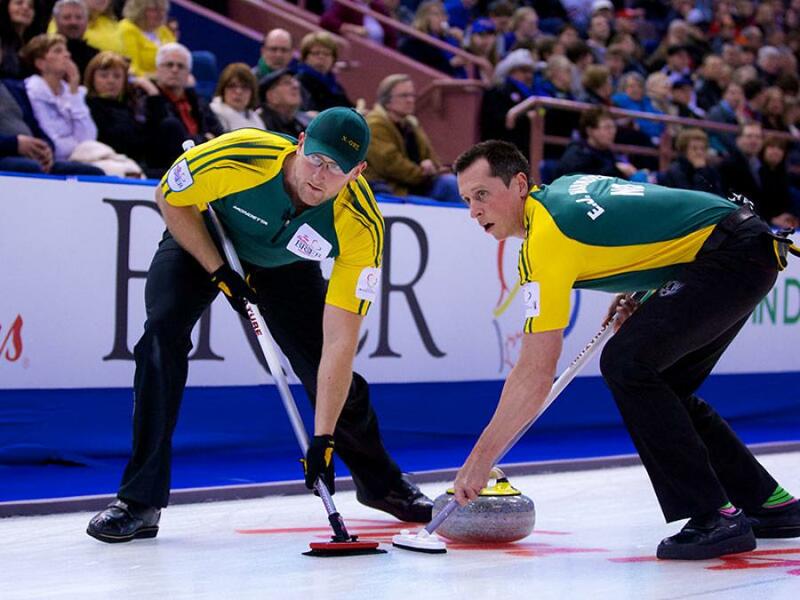 "We pride ourselves in being role models and growing the game we love," said Brad Jacobs, skip for Team Jacobs. "The Kioti brand aligns with our values, and we appreciate this vote of confidence from an expansive, global organization. We know that our Team Jacobs fans will become Kioti fans as well." Headquartered in Wendell, N.C., Kioti Tractor is a market-driven company that has been supplying tractors in the 22-110 horsepower range to the U.S. and Canadian markets for over 30 years. Building on the company's core product line and history of innovation, Kioti has recently introduced new models and expanded its implement and attachment offering. For more information on Kioti or Kioti products, visit www.Kioti.com.